Melissa and Steve are wedding filmmakers. They often travel around the country to film wedding videos. They met ten years ago at a John Mayer concert. He refused to give her his beer and it was love from there. They’ve been married for four years. They lived four years in L.A and one year in Houston. They’re moving back to their hometown of St. Louis. 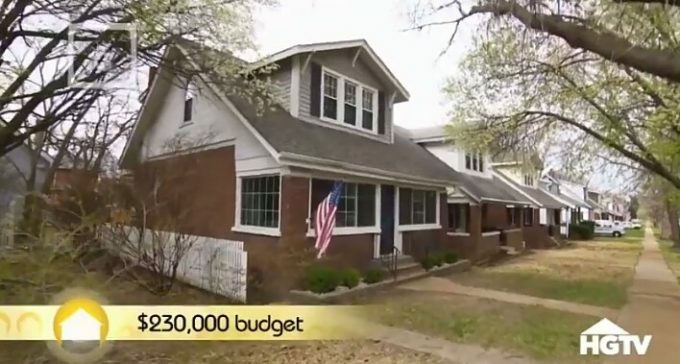 Steve and Melissa’s budget is $230,000. But they want to stay as under it as possible. Steve and Melissa want a single family home. It needs to be in a nice neighborhood. They want their new home to include three bedrooms (two for office space), a spacious closet, a large finished basement, and a fenced in yard. Hers: Melissa wants a vintage style home with original hardwood flooring. She also wants an updated kitchen, but no granite. His: Steve wants a modern home with contemporary interior and exterior. This vintage home was built in 1901. It’s located in Tower Grove South. This home has five bedrooms, and two and a half bathrooms. It has high ceilings, hardwood flooring, and a powder room. This kitchen has a big island and white cabinets, but it needs a complete gut job. It has a fenced backyard, parking pads, and a cellar. This vintage home also comes with a small master with carpet and even smaller closet. It has three floors and potential space for an office. This home is located in Clifton Heights. It was built in 1923, and the home has three bedrooms, and one and a half bathrooms. It’s a mixture of a craftsman and bungalow style home. It has an enclosed porch plus hardwood flooring and built-ins. The kitchen is tiny but updated. The backyard has a huge deck and fenced yard. The home also includes an unfinished basement. It has a vintage exterior but the interior has many modern elements. This home is located in Tower Grove East. It’s ten minutes from downtown. 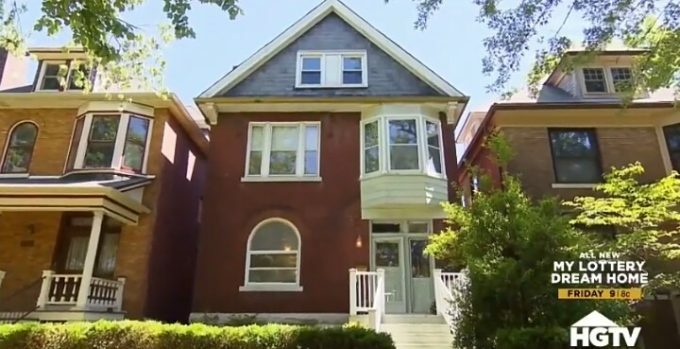 It was built in 1902, and has three bedrooms and two and a half bathrooms. This place has tall ceilings and many modern touches. The floors are mainly laminate. The kitchen is huge but hard dark cabinets. The backyard is partially fenced and has a small deck. The basement is unfinished. The master suite comes with a big closet and bathroom. Decision Time: Home #1 needed too much work and was way over budget. However, Melissa likes the aesthetic. House #2 blended most of their wants best, but it had a lot of projects as well. House #3 was just at budget, but it had a small deck and yard. Steve and Melissa pick…House #2. 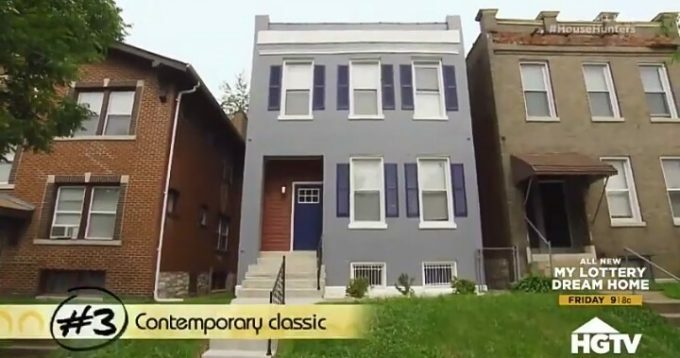 They ended up buying it for $195,000. They already replaced the floors and repainted some rooms. 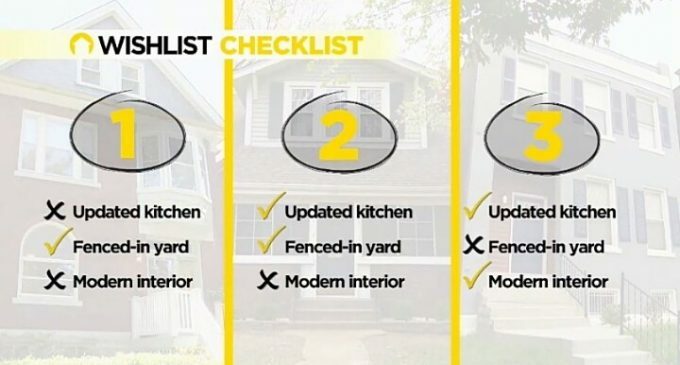 Steve and Melissa plan to eventually tackle more major projects, like the yard.